Time and time again in the wake of tragedies, late-night comics are thrust into a temporarily serious role, expected to help viewers comprehend and grieve. This time, because the mass shooting in Orlando happened at 2 a.m. Sunday, the first late-night show to react was HBO's "Last Week Tonight." Host John Oliver reassured his audience that the terrorist at the Pulse nightclub was "vastly outnumbered" by good people. 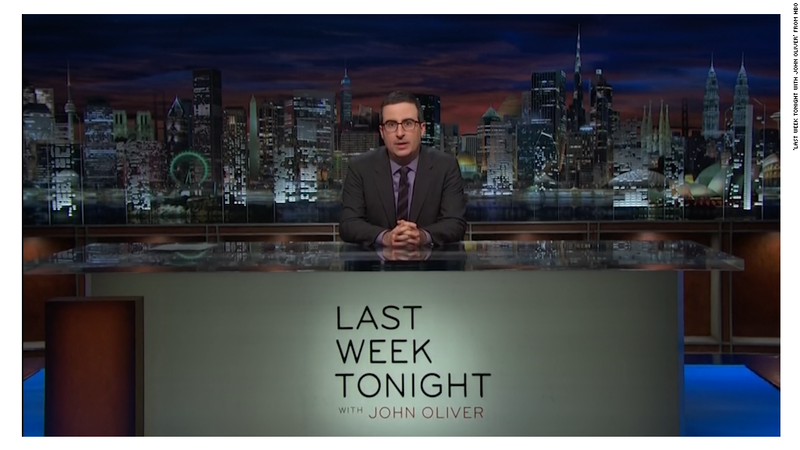 Oliver, whose comedic show has been critically acclaimed for its serious treatment of stories, began on Sunday night with a two-minute essay about the events in Orlando. "Look, it's still early, and details are still emerging, and right now, this just hurts," he said. "And the worst thing is, this pain is so familiar." Oliver cited last November's terrorist attacks in Paris, when "terrorists seemed to target symbolizing everything that is wonderful about France -- Culture. Music. Restaurants." "And in Orlando, early this morning, a gunman attacked a Latin night at a gay club in the theme park capital of the world," he said. "And for the record, I will happily embrace a Latin night at a gay club in the theme park capital of the world as the ultimate symbol of what is truly wonderful about America!" Oliver acknowledged that it is "hard to even know what to do" in the aftermath of such an attack. He looked for something positive to say to his audience, and he found this: "For right now, on a day when some dips**t terrorist wants us to focus on one man's act of brutality and hatred, it might be worth seeing this video, which was posted to Twitter today." Oliver highlighted one of the long lines outside a blood donation center in Florida. People flocked to donate blood in the immediate aftermath of the attack on Sunday. There were "hundreds and hundreds of people," Oliver said. "It kind of reminds you that that terrorist dips**t is vastly outnumbered." Another late-night host, James Corden, hosted the Tony Awards on CBS on Sunday evening. Corden started the awards telecast with a tribute to the victims of the mass shooting. "Hate will never win," he said. "Together, we have to make sure of that."